Spring is here and graduation season is not far behind – with graduating seniors looking for opportunities to defray college expenses with scholarships. 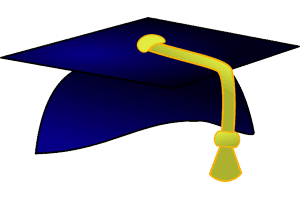 For 2019, the Medway Business Council is proud to offer two scholarships to graduating high school seniors who reside in Medway and plan to enroll in a business-related program at a four-year college or university. The Peter J. Kenney Memorial Award – $1,000 is presented in memory of a dynamic MBC charter member, and the Medway Business Council Memorial Award – $750 in memory of other MBC members who have passed away. Application packets are available from the Medway High School Guidance Department or on the Medway Business Council Scholarships web page. While the applicant must be a Medway resident, he or she does not have to be a graduating senior at Medway High School. The MBC Board of Directors encourages all qualified candidates to apply. The Board will review all applications, select scholarship recipients and notify their school(s) in May. Any questions about the MBC Scholarships may be sent to info@MedwayBusinessCouncil.org. Why not take advantage of FREE Advertising?